Looking for a full bodied cigar with depth and flavor, look no further. The Kristoff Ligero has twice the amount of Ligero leaf in the filler than the original Kristoff. Earn up to 177 Points Points. Looking for a full bodied cigar with depth and flavor, look no further. The Kristoff Ligero has twice the amount of Ligero leaf in the filler than the original Kristoff. It embodies incredible notes of toasted nut, caramel, undertones of cedar, spice and a sweet finish. Made with 100% Cuban Seed tobacco, this cigar leaves a clean, fresh finish on your palate. Ligero has become a household name in the cigar world. Cigar smokers everywhere have fallen in love with the priming from the tobacco stalk that provides extra spice and kick to any cigar it’s introduced to. 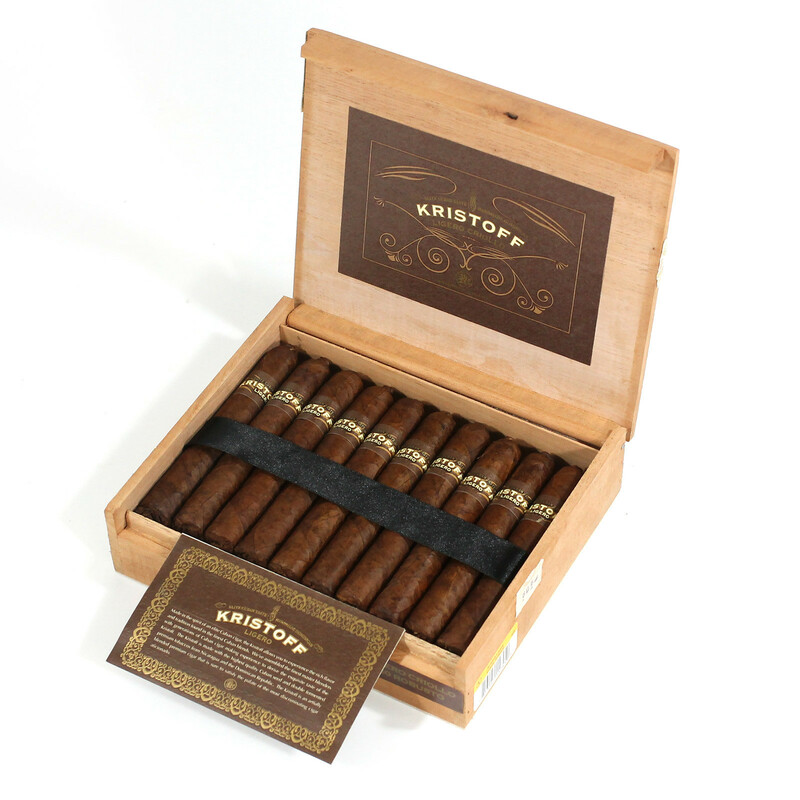 Aged to perfection and flawlessly designed, the premium Kristoff Ligero Criollo cigars are a full-bodied treat for those who demand powerful flavor without sacrificing complexity and refinement.